Who will be President of the UN General Assembly next and also for the SDG review in 2019? Latin America and the Caribbean have the Presidency of the UN General Assembly starting this September and leading up to the High Level Review of the 2030 Agenda in September next year but not he Summit. The two candidates for the next President of the UN General Assembly are H.E. Ms. María Fernanda Espinosa Garcés, Minister of Foreign Affairs and Human Mobility of Ecuador and Ambassador Mary Elizabeth Flores Flake, Permanent Representative of Honduras to the United Nations. Both have published a cv and i thought id share the key points with you the voting will take place on World Environment Day (Beat Plastic Pollution) June 5th. 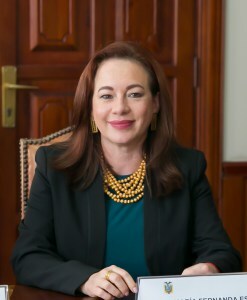 María Fernanda Espinosa if elected would in an open, effective, transparent and inclusive manner, providing continuity and strengthening initiatives and achievements by former Presidencies, according to the mandates of Member States. Maintaining the good practice on effective coordination of Assembly’s meetings, including the high-level meetings and thematic debates, particularly on the Sustainable Development Goals, that will form part of the High Level Political Forum in 2019: SDG 4 (Quality Education), SDG 8 (Decent work and economic growth), SDG 10 (Reduced Inequalities), SDG 13 (Climate Action), SDG 16 (Peace, justice and strong institutions) and SDG 17 (Partnerships for the Goals). We should take advantage of the universality and complementarity of the SDGs and their targets. The General Assembly should facilitate mobilization of resources that are essential to achieve the Sustainable Development Goals and to move forward decisively towards development. We should promote dialogue and cooperation to create capacities and a sustainable and inclusive development. The climate change agenda should be strengthened at the global level, while we continue to fulfill the defined objectives. The Paris Agreement is notable and its fulfillment is necessary, but insufficient. We should work together decisively to develop initiatives addressed to strengthen and broaden mitigation, adaptation and early alert efforts. As part of our commitment of not leaving anyone behind, we need to strengthen our global efforts for a greater inclusion and rights of persons with disabilities and their families, without overlooking lessons learned in this process, based on the statement “Nothing about us, without us”. It is therefore essential to continue promoting adequate accessibility and the inclusion of a rights based approach and accessibility in the General Assembly processes. 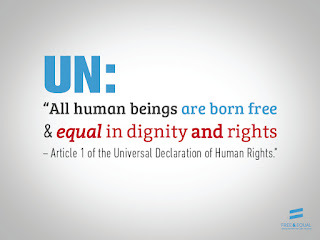 Promotion and protection of Human Rights and development and reduced inequalities should continue being the motor of a global agenda that seeks to prevent conflict and reach peace. The efforts against all forms of racial discrimination deserves the strongest support from the Organization. There are still many challenges. Gender equality must continue as a crosscutting issue at the United Nations. We should promote and take advantage of women contribution to achieve the SDGs as well as peacekeeping, peacebuilding and other multilateral processes. We must continue focusing on conflict prevention and how the General Assembly can contribute as a global dialogue forum to reach this objective. The General Assembly is specifically called to promote a culture of peace, strengthening multilateralism and fostering friendly relations among countries, based on the observance of international law, dialogue and the principle of equal rights and self-determination of peoples. It is necessary to consider that "sustainable development is not possible without peace, and peace cannot exist without sustainable development". Revitalization of the General Assembly is a commitment of all G-193 States. At the General Assembly, we should propose efficient responses to solve humankind´s problems placed for the United Nations consideration. We must accompany and guide the United Nations reform process promoted by the Secretary General, according to the criteria and recommendations made by all members. Ambassador Mary Elizabeth Flores Flake, has proposed a theme of “Time for Global Actions to Consolidate Transgenerational Peace and Prosperity – Building bridges to connect a United Nations Agenda in benefit of Children. The PGA office will focus on Peace and International cooperation, development of International law, and will engage the GA in dialogue, discussion and debate in line with the mandate in the charter, complementary and in coordination other organs, in with furthering the role of multilateralism. A key priority will be supporting the work of member states and Secretary General in the ongoing process of reforms and revamping of our Organization and International Architecture upon the three pillars. The 73rd session will offer a platform for diversity building bridges across regions and Continents, connecting families and communities, bridging cultures and civilizations. ancestral traditions and innovation. This will be a forum for the Culture of Peace, bridging the gaps and ensuring the equal rights of men and women, creating opportunities in sustainable development and access to financing. The session will bring leaders together in implementing and translating commitments into actions. 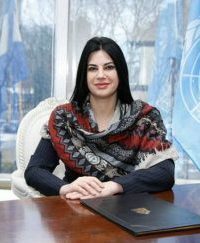 Culture of Peace through Dialogue and Relatedness: The 73rd session will focus on providing a space for constructive communication among stakeholders, fostering and sharing of values of diversity, tolerance, mutual acceptance, human rights and non-violence, in membership participation and initiatives in pursuance of creating a Culture of Sustainable Peace. The session will begin in this spirit in celebrating the GA mandated Nelson Mandela Peace Summit UNGA High-Level Plenary Peace Summit on September 24, 2018, and adopting the political declaration, preceding the General Debate. This will be an opportunity to convene and encourage participation of Heads of State and Government, World leaders, intellectuals and key actors in coming together to recognize the legacy of Nelson Mandela in honor of a centenary of his birth, and to commit to an agenda standing for Peace. The Culture of Peace will prevail during all the meetings and initiatives throughout the 73rd session, furthering awareness, education and participation building momentum towards the High Level Event on the Culture of Peace in 2019. Sustainable Development is Dignity: Sustainable Development is more than an objective; it is an imperative of human dignity. The Sustainable Development Agenda provides a transgenerational framework to transform our world. The implementation of the 2030 Agenda is supported in the realization of a connected global partnership where proven practices, innovation and technology breakthroughs play a key role. In the 73rd Agenda member states will focus on creating alignments in national plans and can further contribute to shared agendas across boundaries at a regional level and across continents. A core component to development is adopting a Global Compact for Safe, Orderly and Regular Migration. The 73rd session will encourage engagement and support in successful negotiations and Conference taking place in Morocco December 10-11, 2018. This session will foster participation and contribute to the outcome of the High Level Political Forum 2019, given its central role in the follow-up and review of the 2030 Agenda. in consideration of the Global Sustainable Development Report. During this session the PGA office will convene members and partners in implementing the Addis Ababa Action Agenda, as well as identifying, accessing and creating new financing tools, mechanisms, strategies and frameworks to support and enhance the sustainable development agenda. Financing SDG and Partnerships: The 2030 Agenda is a call for global cooperation and the realization of a strong global partnership, where innovation and technology breakthroughs play a key role; and the session will foster multi-stakeholder partnerships, upon an inclusive platform in knowledge, expertise, technology and financial support. In this endeavor, we will engage governments, parliaments, civil society and all stakeholders to work together and support a financing compact and support new smart mechanisms of the finance architecture. As a woman, I believe in women’s unique leadership. By creating opportunities and supporting conditions which contribute to the welfare women, alongside the leadership of men, will benefit the entire community and lay a strong foundation in international peace, security and development for future generations. Women empowerment is a prerequisite of sustainable development, ending poverty, inequality, achieving sustainable peace, harmony with the environment, climate consciousness, and shared prosperity. An agenda for the wellbeing of Humanity, and Children at the center: During the 73rd session all efforts and initiatives will be dedicated on behalf of children and their wellbeing, with special consideration to the most vulnerable. To this end, the PGA will support initiatives and actions that reassure respect of Children's rights, and their fulfillment. Essential to secure our Children’s future is their wellbeing, safety, security, nurturing and support. In this regard the agenda includes focusing in supporting all caretakers, primarily women. And recognizing the role of family, guardians and educators. Member States at the highest level will be requested to make commitments and uphold them in this session in a Global Agenda for Children. A high level summit will be convened to reinvigorate collective commitments to coordinate and collaborate as an international community and global coalition in a coherent and comprehensive response, which will ensure a follow up strategy to keep children and youth at the forefront of the U.N. agenda. Res A/72/219 includes a call on the President of the 73 GA to convene a High level meeting on the issue of the Protection of the Global Climate for Present and Future generations of Humankind in the context of the economic, social and environmental dimensions of the 2030 Agenda for Sustainable Development. “Balancing the needs of present and future generations”. In fulfilling upon a sustainable agenda to benefit our children we must embrace in this session education, technology, creativity and innovation, discovering and creating opportunities which contribute to healthy and prosperous communities and societies. The next President of the UN General Assembly after Latin America and the Caribbean will be from Africa. The 2019 High Level Session of the UNGA will be critical in reviewing progress on the major political agendas that were agreed in 2015 those of financing, SIDS, the SDGs and the Paris Climate Agreement. Next year there will need to be a honest review of the this and an acceptance that change may be necessary in the institutions that are supporting these bodies. 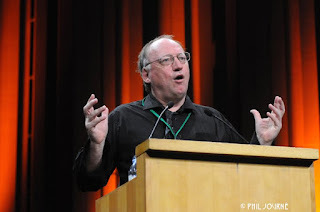 In particular the High Level Political Forum is not fit for purpose and needs major overhaul. The choice by Africa of their President of the UN General Assembly in 2019 will be critical to the success of this review.